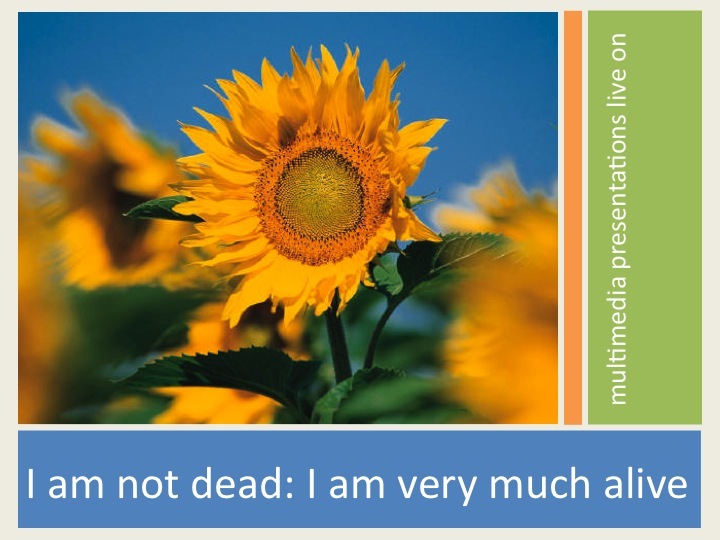 Say PowerPoint to any audience and you’ll likely hear a few groans. We’ve all been there: a presenter gets up in the front of the room, turns on the screen, and the dreaded slides appear. Within seconds, we either tune in or out. Good design might stand a chance. Bad design, well, we’re gone. It almost doesn’t matter what the presenter says, if the PowerPoint is boring, we won’t listen. Perhaps there were days when the novelty of PowerPoint presentations were enough to engage an audience or classroom. Flashy, animated clip art on the screen was not something we saw every day and it held our interest. Those days are long gone. PowerPoint presentations, which have become almost synonymous with presentation software in general, have received such a bad wrap (does “death by PowerPoint” sound familiar?) that some people dismiss presentations as a teaching tool altogether. In short, it’s not PowerPoint itself. In fact, as a software tool, PowerPoint is stronger than ever, along with competitors like Keynote, Google Docs presentations, VoiceThread, and SlideShare. The software hasn’t failed; the presenter has. If used well, presentations can be a powerful tool in the classroom by both students and teachers. Used poorly and, well, don’t even bother. Recently added features have equipped today’s presentation software with hypermedia capabilities that allow a more dynamic experience. Through hot spots users can click on hyperlinks to jump to other slides, other presentations, or even websites. Video and sound can be creatively embedded within slides (Roblyer & Doering, 2012). Presentations help teachers organize their thinking on a subject. A teacher must think through what he or she will say and in what order, essentially planning the perfect delivery of a lesson. They also help with sequencing and breaking large concepts into smaller parts. Additionally, using multimedia presentation software “provides an avenue by which students can learn through the act of organizing information” (Siegle & Foster, 2000, p. 3). Presentations, when done well, enhance and support what the teacher says, especially when appropriate hypermedia tools like graphics, images, and sound are incorporated. Presentations also engage children who have various cognitive learning styles. “Cognitive principles suggest that a coherent blend of verbal-visual material boosts retention of scientific concepts beyond the level attained by verbal summary alone” (Marek & Christopher, 2002, p. 70). Presentations allow students to practice collaborative skills, especially through sites likes SlideShare or Google Docs presentations. Students can work together online simultaneously. Researchers have studied presentation technology for years, and they “have looked at its impact on both educational processes and outcomes” (Roblyer & Doering, 2012, p. 128). While students generally respond more positively to presentation-enhanced instruction, the impact largely depends on how teachers use such tools (Roblyer & Doering, 2012). One study by Siegle and Foster (2000) showed that using multimedia presentations helped boost student biology achievement scores. Additionally, and these were strong benefits found back in 2000, presentations can help students be active not passive learners, develop research skills, encourage cooperative learning and problem solving, and engage in more meaningful learning (Siegle & Foster, 2000). Teachers who model well the use of technology for presenting also help train students in the application of such technology (Marek & Christopher, 2002). Solid research indicates that teachers should not discount presentations as a potentially effective tool for learning. Practice screens: spelling and vocabulary review, states and capitols, etc. Marek, P., Christopher, A. N., & Koenig, C. S. (2002). Applying technology to facilitate poster presentations. Teaching of Psychology, 29(1), 70-72.